Hey there guys, hope you are having a great day! Today I have a fun little eyelashes/pineapple design to share with you. I know it sounds a bit weird but its super fun at the same time so lets take a closer look! Pinterest always leads me to finding some of the cutest prints and the other night was no different. There was a cute little pineapple graphic where the body of the pineapple was made out of lashes, which you can see here. 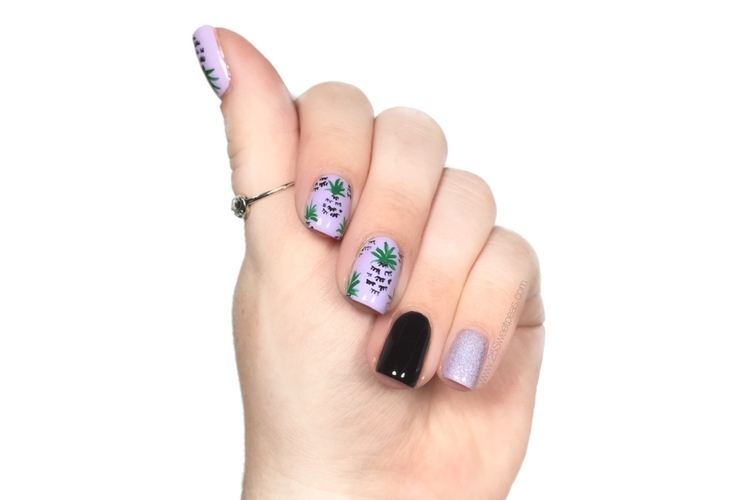 So I decided to change up the colors and recreate it into a purple mani! 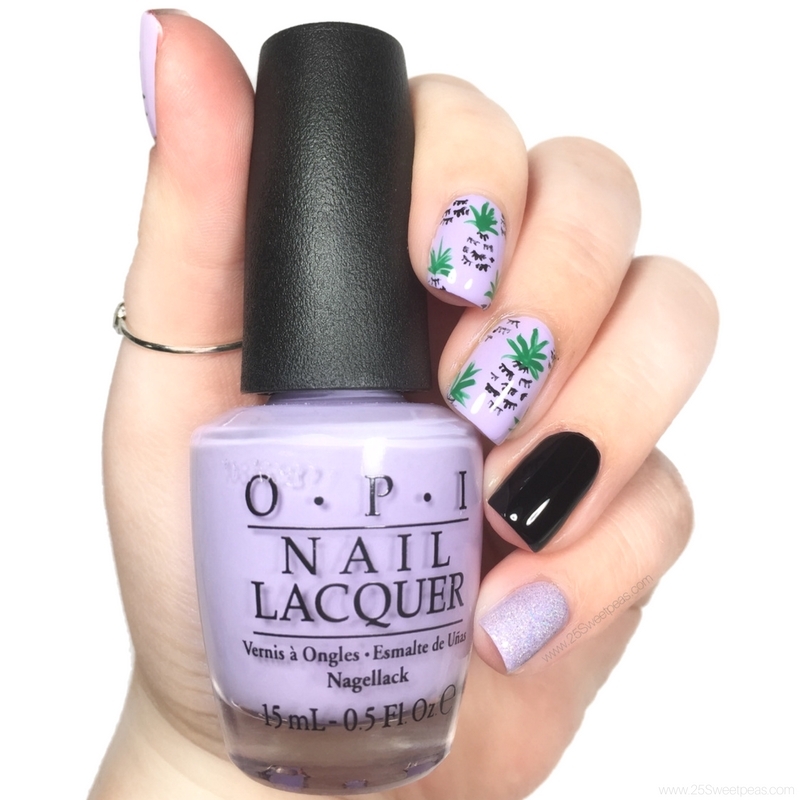 I used OPI Polly Want a Lacquer as my purple. The black is Serendipity Nail Polish Building my Empire, and the holo topper is also a Serendipity Nail Polish named CaLOVEfornia. The art was all done in acrylic paint. It was super fun to do even those the lashy part was a bit daunting! It turned out pretty decent. I am really enjoying wearing them. I have actually had them on longer than I had expected but am throughly enjoying them!